A few weeks ago I got a message from a woman who poured her heart to me about money, holidays, brokenness, her children, and her bank account. It’s not very unusual for me to get these types of messages as I’m an open book to always point back to Jesus. I get messages from a simple, ” hey what’s your recipe for elderberry syrup, to I don’t want to live anymore.” So this message wasn’t anything unusual for me to get. This woman’s message made me feel so uncomfortable…. not because she personally attacked me but because I was guilty of it. I was also in her shoes and here she was looking for my advise on an issue I’ve been ignoring. An issue the Holy Spirit had been presenting to me so I could deal with, but ignored. This statement has ran through my mind so much this year. Before I go on I want to give you all a little background, this year has been the tightest year we have had since my husband and I first got married… 11 years ago. Except now we have a mortgage, 3 babes and one on the way. Taking a leap of faith and leaving his time robbing career as a finance manager and making amazing money to his freedom career in mortgage making… not so much (we were told the first year would be hard to start it but boy did they underplay it) money. After my husband was diagnosed with MS and seeing the effect his work had in his life (working 15 hour days, never being home) he decided time was more precious than money. And I did/do too, agree but it seemed to be so much easier to agree when we HAD that amount of money. When I got that message I knew right away that this woman was me. That her exact feelings were mine. I just didn’t want to say them or write about them much. So I put my phone down and said, “ok Lord, what do I say to this? How can I give her advise on something I’m struggling with?”. I told her that I knew the feeling all to well and continued to try comforting her. After a long time messaging back and forth we both came to a place of peace. In Jesus. His provision, his wisdom. We talked about focusing of what we did have and not in what we didn’t. We touched up on comparison and jealousy. We tackled the ugly of loving money. The desperate wishing of just wanting more in a season that had less to offer. We agreed on God’s word of being faithful in the little, we talked about ideas on how we can use what we have to be creative for our kiddos. We talked about different seasons and how we should react to them. Gratitude is the best attitude! So came to a conclusion through God’s word. 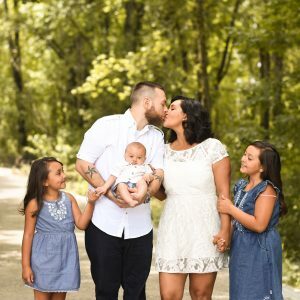 We are so consumed with thinking that “if we only had (x) amount of money… I could be a better mom, If I could only have this amount.. my children would have a better holiday season.” Seeing other moms do the matching dresses, the perfect family outing (what’s that even mean) , the perfect life… that we don’t have. It’s so easy to fall into a pit of holiday depression. ^^^ that’s a lie. All of it. Not depression but comparing so hard that you let yourself fall in to a deep hole. You don’t have to let it go there. You might be able to do more, absolutely but it doesn’t make you a better mom. Having the wooden toys, the floral dresses, the farmhouse style walls, the money to give your children things they’ve always wanted…It might seem ideal but it doesn’t mean you’d be a better mom. The same goes for those mothers who can and do, it doesn’t make them bad moms. But we’re talking about moms who feel inadequate or sad during this season due to not having the best to give. Not being able to give the world to your children feels terrible. I get it. But it’s not the end Mama. As if our children are truly missing out on something HUGE by not getting every single thing they ever ask for. As if we can’t simply live happily if we don’t have that barn sliding door, or the perfect instagram world. Our children want US, sure they like toys and want things but ultimately they want US! Children are so moldeable and they don’t think the way we do. As in, “I feel inadequate because I don’t have this. I didn’t get this so my parents must not love me.” At least I’ve found my kiddos aren’t this way. Most children just truly want you! This is the first year I am not able to spend carelessly on things my children like that will end up at Goodwill during spring cleaning next year. This is my first year having to actually get creative to make sure they know that I love them through a gift. << serious though, so ridiculous. This is my first year hoping that my kids will not “miss out,” because I don’t have what I use to. But this is also the first year in a very long time that I’m leaning on Jesus for guidance on money. How to spend it, how to save it. How to give it. How to make the best of what I have to offer. And how to use what I have. How to make the best of our season. How to get creative. How to actually be there for my children. How to be resourceful and thankful for it! Seeing the good in what society said is sad. In not being able to give my children everything this season I’ve gotten closer to God. The sad part truly is.. thinking that money can fill the spot that was made for Jesus. That money this holiday season is the only way our children will not be traumatized. Whatever season you are in, there’s a time for everything. Ask God to show you how you can use what you have to make this season special without wishing you had more! Thank God for all the things you DO have! Show you children the beauty of thankfulness even when you don’t have what the world says you need to be happy this season. Pray. Pray about the season you are in, pray about what’s in your heart. Pray about your brokenness, it’s ok. Pray about your desire to make this season special. Pray to see the good. Pray to be an example to your family. Pray for wisdom. Pray over your anxiety. And every time you pray, thank him! December and its beautiful fuzzy feeling will be gone in a couple of weeks and so will the feeling that can drown us in pity. It’s just another month, it’s just another chance to lean on Jesus and remember to put him first and center so we can take on everyday. It’s a chance to re-search our hearts and see what’s truly lying beneath and ask God to help us be more like him. You are not a bad mom for not being able to give your children the world this season. You are not less than for not having the money to go all out. God has your back, all you have to do is work with what you have now and live one day at a time knowing that Jesus is the reason for this season. Chin up mama, there are many ways to make memories during the holidays with your babies. Get creative and think of ways to start a new tradition, (we love listening to Christmas music while we make popcorn garlands. Also adding dehydrated oranges! Mmm) creating new memories your kiddos will remember. Free events near you also! Can I tell you something? My children haven’t even noticed that there has been a financial change this holiday season not because we continued to live like we did but because I had to change my hearts desire from wanting to give them more, to being there more. I hope you can find peace this season Mama. 🎄 Jesus loves you so much, don’t forget that!